﻿ How to Use eBook Price Comparison Service to Find the Best Price for eBooks? How to Use eBook Price Comparison Service to Find the Best Price for eBooks? Posted by Ada Wang on 12/3/2018 4:05:12 PM. When we buy something, we often compare the product's price between different stores. As to ebooks,we can also do that. Thanks to Epubor Ultimate Converter, now we can buy ebooks from anywhere and read them in any device. But with so many famous book sellers such as Amazon Kindle store, Barnes & Noble, Google Play, Kobo, iBooks etc, Where should I buy the books? How can we track the ebook price and find the lowest price to buy? Or, as we know, Amazon often change their ebook price, when should I buy a book on Kindle store? I think that we all have such experience like the price drops when we just bought something one or two days later. The feeling is so disgusting and we don't want it happens again. Fortunately, there are some powerful online service can help us compare ebook prices and get price drop notifications. With these tools, we can always choose the best time and the best place to buy ebooks. What's more, it's all for free. 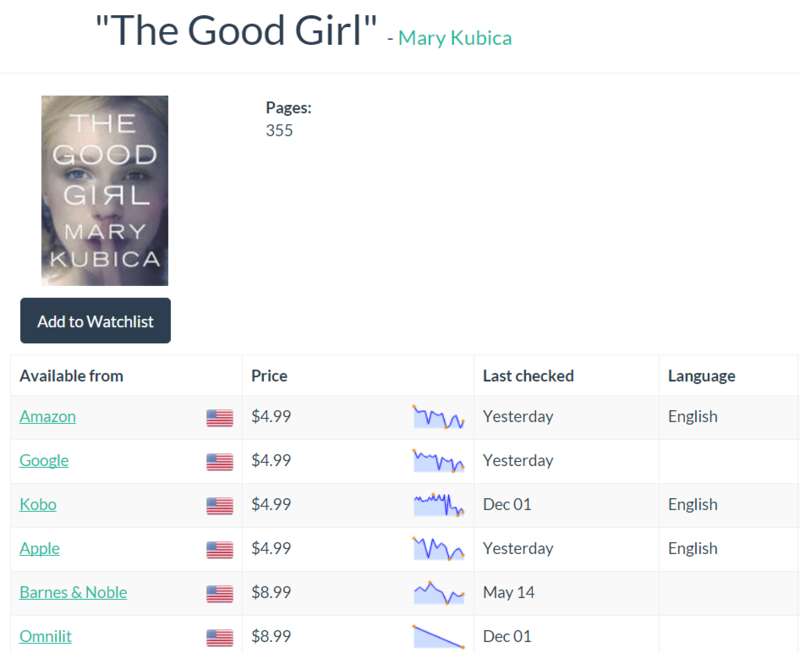 1 Use Luzme to compare ebook prices between different book sellers. In my opinion, Luzme is the most powerful tool to track the ebook prices, like their slogan said:" Never, Ever Pay Full-Price For An Ebook Again!" After using this service, we can always find the lowest price to buy books. You can find the amazon?Google?Apple?Kobo's price is $4.99 while Barnes&Noble?Ominit is $8.99, and even amazon's price had changed regularly. Get notifications when your favorite author releases a new book. Follow the watch list from Amazon, Goodreads and LibraryThing. Choose different countries and different stores to watch. In summary, you give the book, Luzme notices you the best place and the best time to buy it. 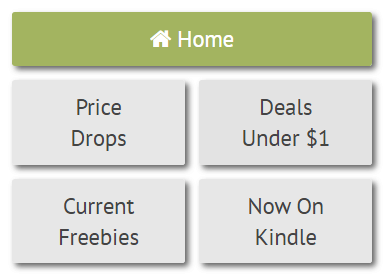 Frist and the main function is kindle book price tracker, you can get notifications when you favorite book price drops, and click change button to alter the price you want to be noticed. There are four methods to build your own watch lists: 1. Add by ASIN or URL; 2. Add by Author or Title; 3. Import your wish list from Amazon; 4. Use their track plugin. Second, you can find a lot of books under $1 and free to sell everyday. And one thing I want to emphasize that these books are all popular books. The last is "Now on kindle", it will notice you when your favorite books have a Kindle format since there are still books don't compatible with kindle. But as we mentioned before, it won't be a problem any more, you can buy ebooks in any stores and still read them in kindle, read "How to Read EPUB on Kindle Paperwhite" for more details. 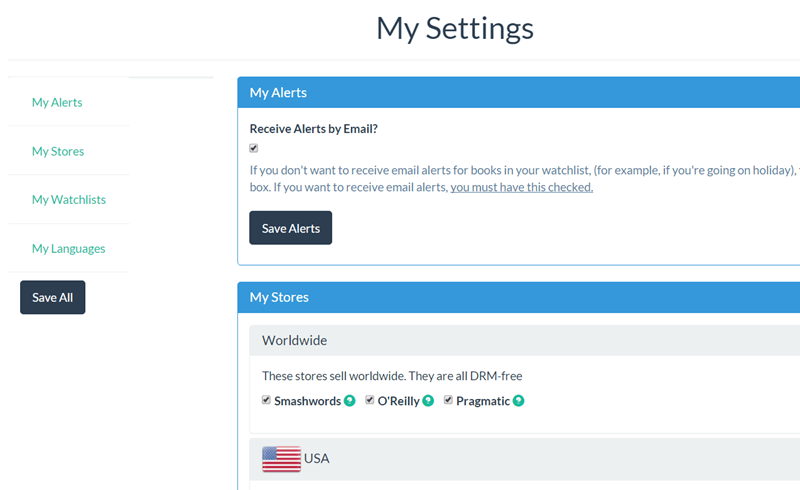 eReaderIQ also has other functions such as author watch list, you can add your favorite author to your watch list and when they release a new book you won't miss it. I'm sure you will like eReaderIQ when you begin to use it. 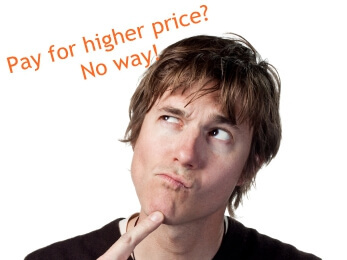 Home > Resource >How to Use eBook Price Comparison Service to Find the Best Price for eBooks?